Upcoming Events The Florence Belsky Charitable Foundation FLOBEL Holiday Party, Brought to you by the Young Advisors! FLOBEL Holiday Party, Brought to you by the Young Advisors! 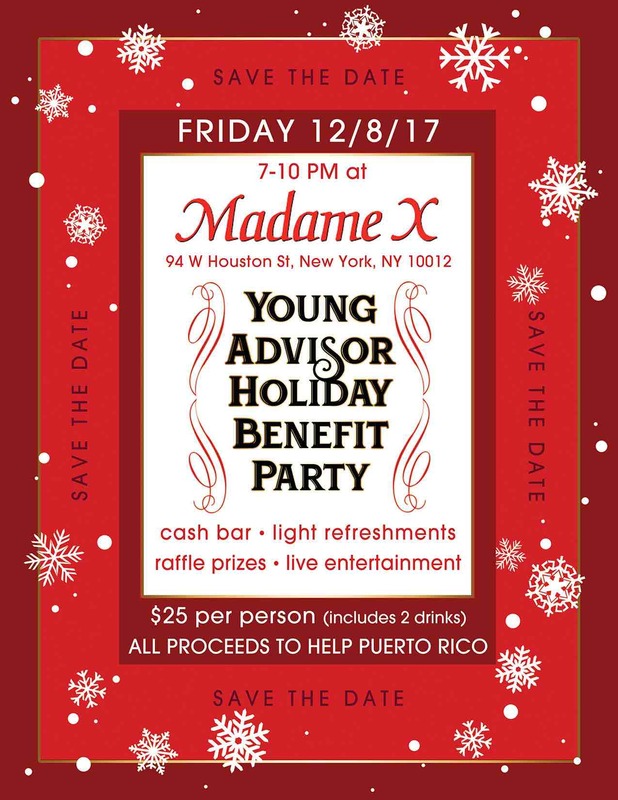 Join the Young Advisors of the Florence Belsky Charitable Foundation as we party for #PRrelief. Enjoy live entertainment, 2 drinks on us, and light refreshments as we raise money and awareness for Puerto Rico! We will be raffling off show tickets, experiences, and other great surprises – so get excited and get involved!